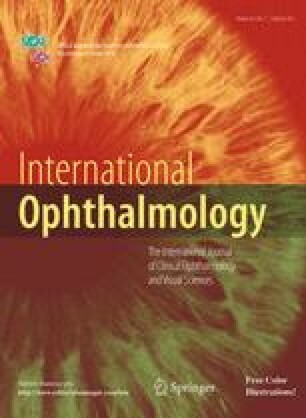 Eye-related pathological conditions such as glaucoma, diabetic retinopathy, and age-related macular degeneration commonly lead to decreased peripheral/central field, decreased visual acuity, and increased functional disability. We sought to answer if relationships exist between measures of visual function and reported prosocial behaviors in an older adult population with eye-related diagnoses. The sample consisted of adults, aged ≥60 years old, at an academic hospital’s eye institute. Vision ranged from normal to severe impairment. Medical charts determined the visual acuities, ocular disease, duration of disease (DD), and visual fields (VF). Measures of giving help were via validated questionnaires on giving formal support (GFS) and giving informal support; measures of help received were perceived support (PS) and informal support received (ISR). ISR had subscales: tangible support (ISR-T), emotional support (ISR-E), and composite (ISR-C). Visual acuities of the better and worse seeing eyes were converted to LogMAR values. VF information converted to a 4-point rating scale of binocular field loss severity. DD was in years. Among 96 participants (mean age 73.28; range 60–94), stepwise regression indicated a relationship of visual variables to GFS (p < 0.05; Multiple R 2 = 0.1679 with acuity-better eye, VF rating, and DD), PS (p < 0.05; Multiple R 2 = 0.2254 with acuity-better eye), ISR-C (p < 0.05; Multiple R 2 = 0.041 with acuity-better eye), and ISR-T (p < 0.05; Multiple R 2 = 0.1421 with acuity-better eye). The findings suggest eye-related conditions can impact levels and perceptions of support exchanges. Our data reinforces the importance of visual function as an influence on prosocial behavior in older adults. The source of the data on which this paper was based is the respective set originally gathered for and utilized by the doctorate dissertation of Merideth D. Smith, Ph.D.